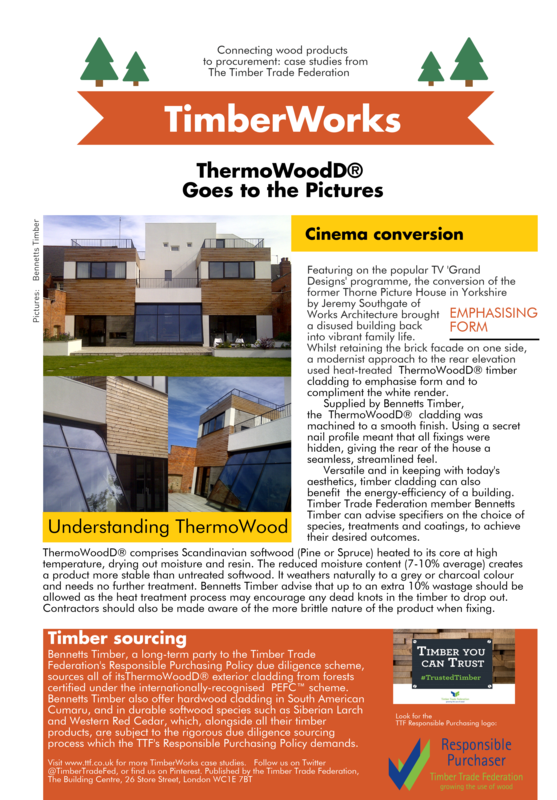 Read our latest which focusses on the use of ThermoWoodD® which is a modified timber. It comprises Scandinavian softwood (Pine or Spruce) heated to its core at high temperature, drying out moisture and resin. The reduced moisture content (7-10% average) creates a product more stable than untreated softwood. Ideal for exterior cladding. Click on the link below to download the pdf version of our blog. Contact Bennetts Timber on 01472 350151 for more information.